Brian Thompson, a shopkeeper in the North East of England, has pleaded not guilty in a landmark case, challenging the legality of video-streaming set-top boxes that provide subscription content for free. Thompson is accused of selling “fully loaded” Kodi boxes, modified with software that allowed users to watch pirated content. The trial will begin in May. Thompson denied two charges of selling equipment that facilitated the circumvention of copyright protection measures. The case was brought by Middlesbrough Council after Trading Standards officers raided Thompson’s shop Cut Price Tomo’s TV in Middlesbrough in March. The council bought two of the TV boxes in question from Thompson’s shop. 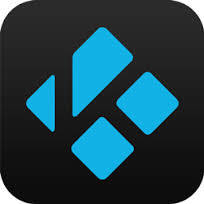 Kodi is free, legal software that allows users to collect videos, music games and photos in one easy-to-use application. The software can be modified with third-party add-ons that provide access to pirated copies of movies, TV series or provide free access to subscription television channels. In February 2016, Kodi announced it would take action against rogue sellers who modify the software, installing broken piracy add-ons, advertising that Kodi allows the user to watch free movies and TV, and then vanishing when the user buys the box and finds out that the add-on they were sold on was “a crummy, constantly breaking mess” according to Kodi Project Manager Nathan Betzen.